MANILA - Labor Undersecretary Jacinto Paras filed on Friday a case of inciting to sedition or inciting to coup d'etat against Senator Antonio Trillanes IV. Paras filed the case at the Pasay City Prosecutor's Office. 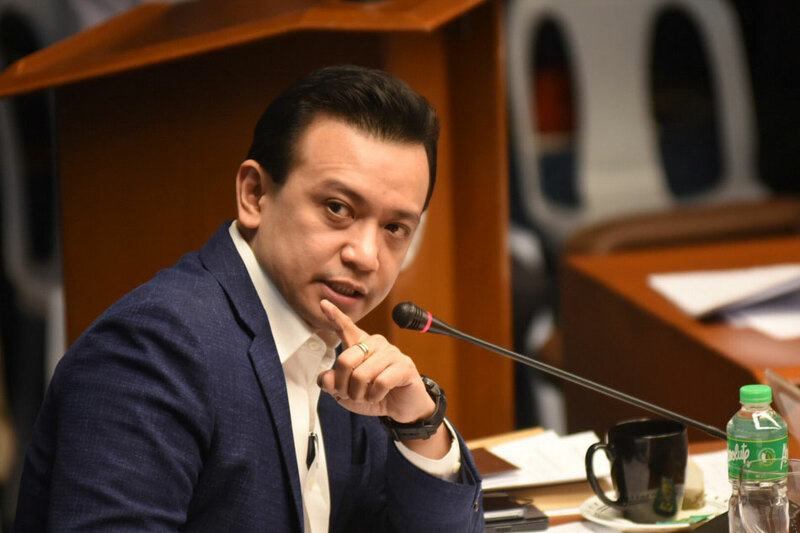 He earlier filed charges of grave threats against Trillanes over statements the senator allegedly made against him on the sidelines of a Senate inquiry in June. The inciting to sedition case is the latest among the opposition senator's legal woes which include the withdrawal of his amnesty and a libel case. Paras previously said that the charges stem from Trillanes' alleged efforts to prod soldiers to rebel against President Rodrigo Duterte and for supposedly calling the chief executive "insane." Trillanes is facing possible arrest after Duterte voided his amnesty over 2 failed military uprisings in 2003 and 2007. He has been holed up in his office at the Senate since Tuesday last week. The President's son, former Davao City Vice Mayor Paolo Duterte last week meanwhile filed a libel case against Trillanes, a year after the senator accused him of corruption. Trillanes, in 2017, claimed Paolo and brother-in-law Manases Carpio were involved in a scheme to extort money from ride-hailing firms.